All of these figures blow ROI right out of the loop and pretty much explains why there are NOT many avenues yet, to get information out about our products or services. With these kind of stats on the mobile user, as a business owner, I want to tap into this market at a reasonable price. We looked at searches as our options on the last post. We are taking a look at social media today. Just this year, I made a commitment to be more active with my business pages on Facebook. One reason is the big improvement with the business page from Facebook. Another reason, is that it is a good free avenue of advertising and I was a fool for not using it to the max. 92% of marketers say that social media is important to their business"
These figures show that the time is well spent for those that use social media.. Since we are looking for ways to connect with Smartphone users, this should be a priority for me. So, which one media is right? 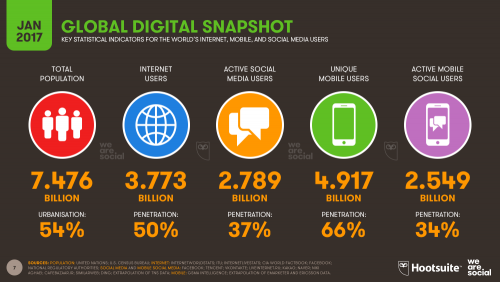 "72% of adult internet users use Facebook. Only 45% of marketers think that their Facebook efforts are effective. Facebook sends 82% of social media traffic to longer stories and 84% of social traffic to shorter news articles. 73% of people say they use Facebook for professional purposes. Facebook has 1.13 billion daily active users." Twitter has nearly 4X as many users internationally as in the U.S. In the past two years, content consumption on Twitter has increased 25%. Twitter has 313 million monthly active users"
We will continue looking at social media in the next post.